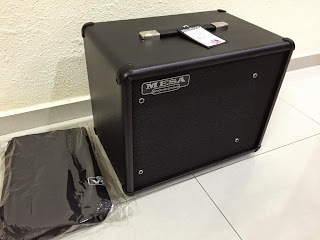 I have brought back a Mesa/Boogie cabinet from local Mesa/Boogie distributor. It had been packed very well by Mesa/Boogie factory. 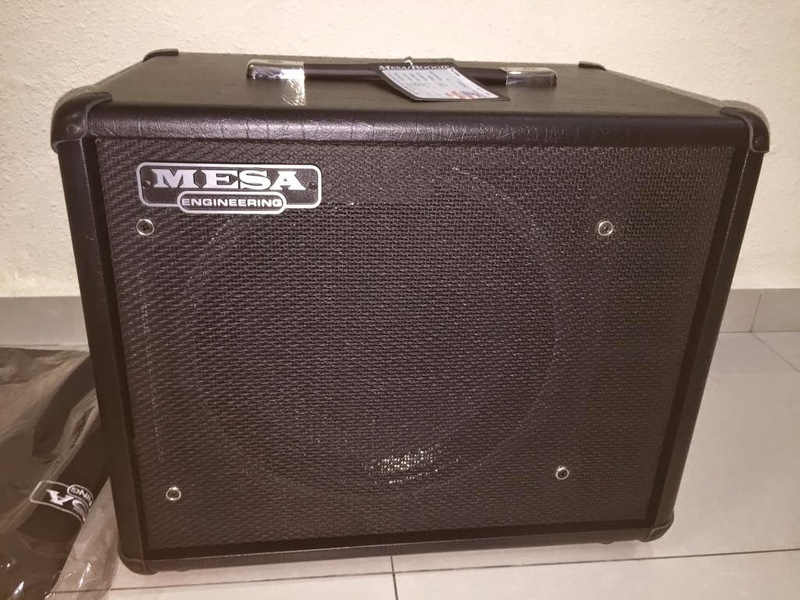 A Mesa/Boogie® 1x12" Thiele cabinet. 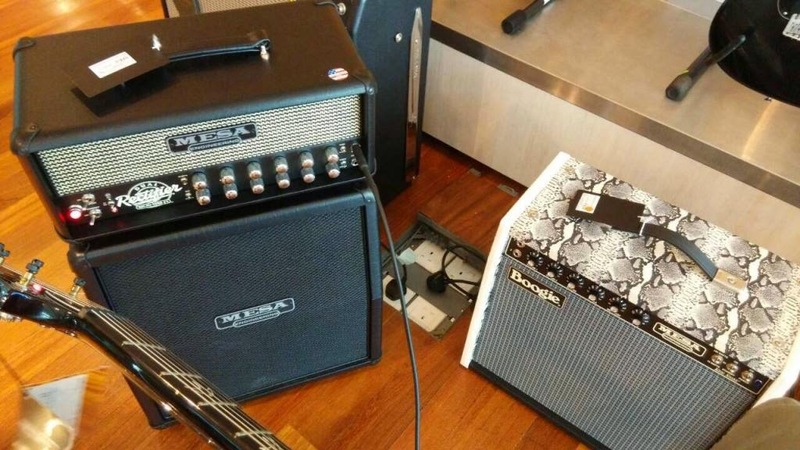 I have/had owned two Mesa/Boogie 4x12" cabinets and one 2x12" Rectifier cabinet. 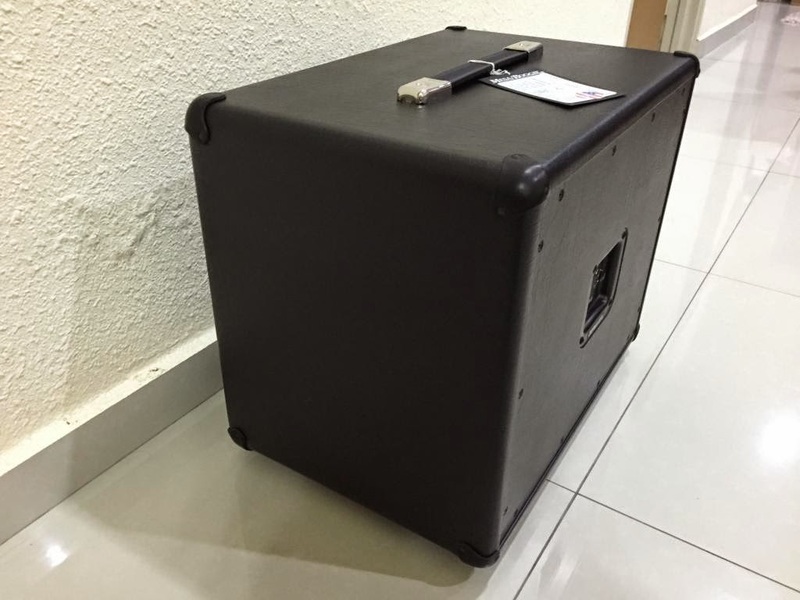 It has much deeper body compared to most of the 1x12" cabinets in the market. Mesa/Boogie "Thiele" cabinet is based on Electro-Voice (EV) TL806 design. 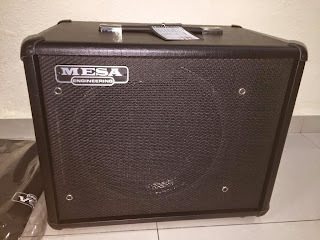 The older one did come with EVM12L speaker, but they use Mesa/Celestion C90 "Black Shadow" speaker nowadays. 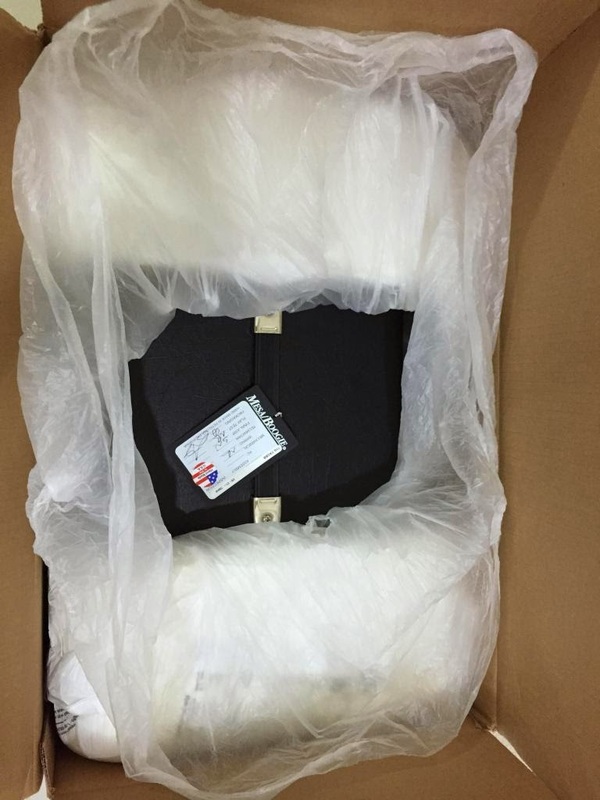 C90 "Black Shadow" speaker are custom-voiced by Celestion for Mesa/Boogie. It sounds similar with Celestion Vintage 30 speaker but with bigger low-end and much darker in highs. The C90 speaker is "front-loaded" in Thiele cabinet and the cabinet is "ported". The ported design enhances the bass response extremely well. Thiele cabinet sounds bigger, tighter in low end and can handle whatever amount of bass that you pumped into it. 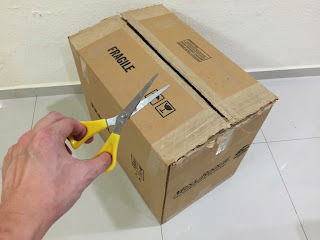 I would say "Thiele" is the best 1x12" cabinet that I have ever owned.